1. 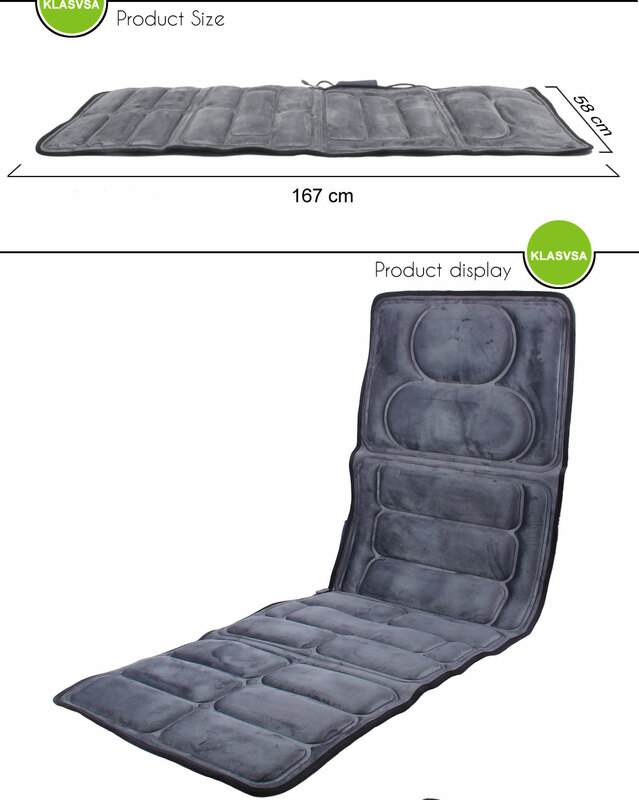 Elegant appearance, easy to carry, can be used on sofa, chair, bed etc. 2. 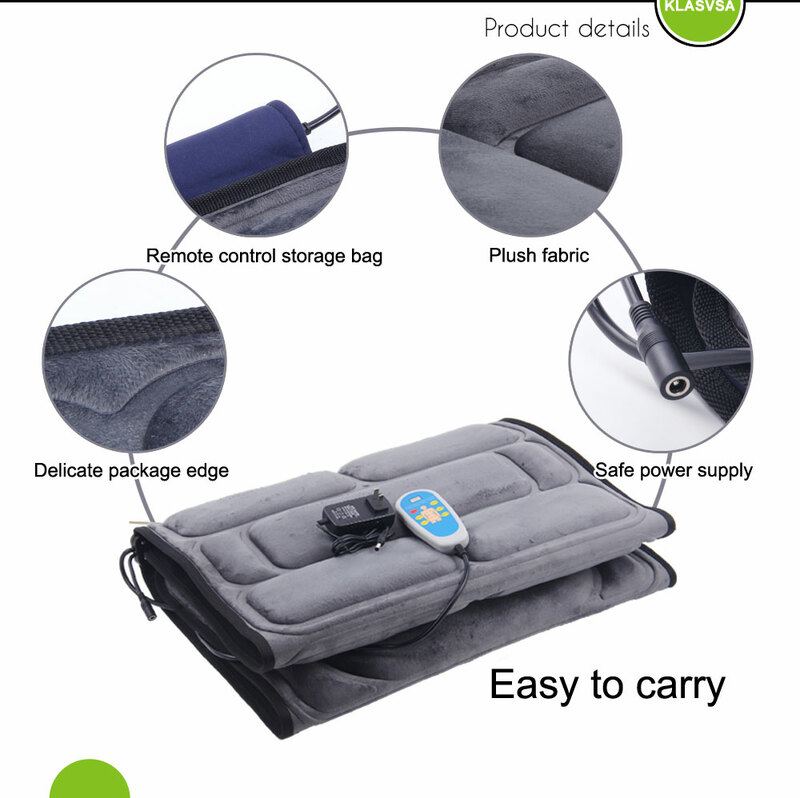 Plush surface design, soft, feel more comfortable. 3. 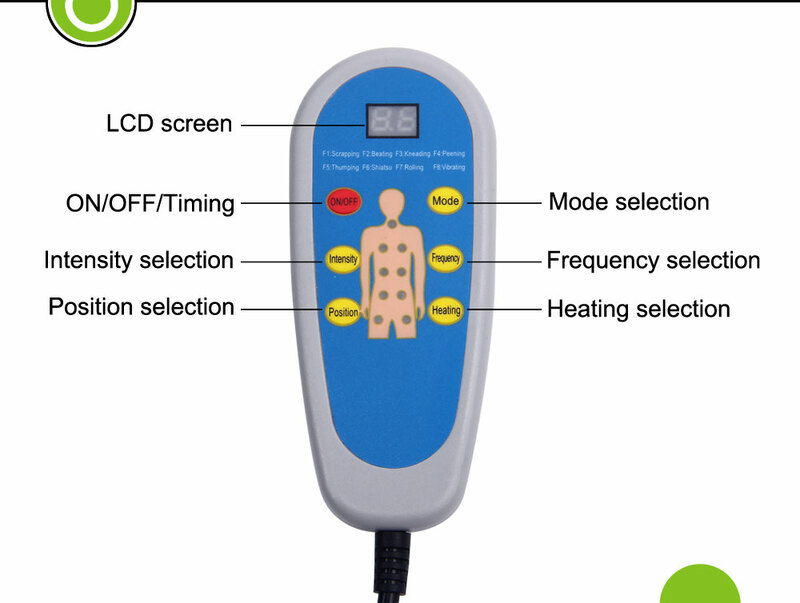 Remote control, vibrating, heating, nine Massage Motors. 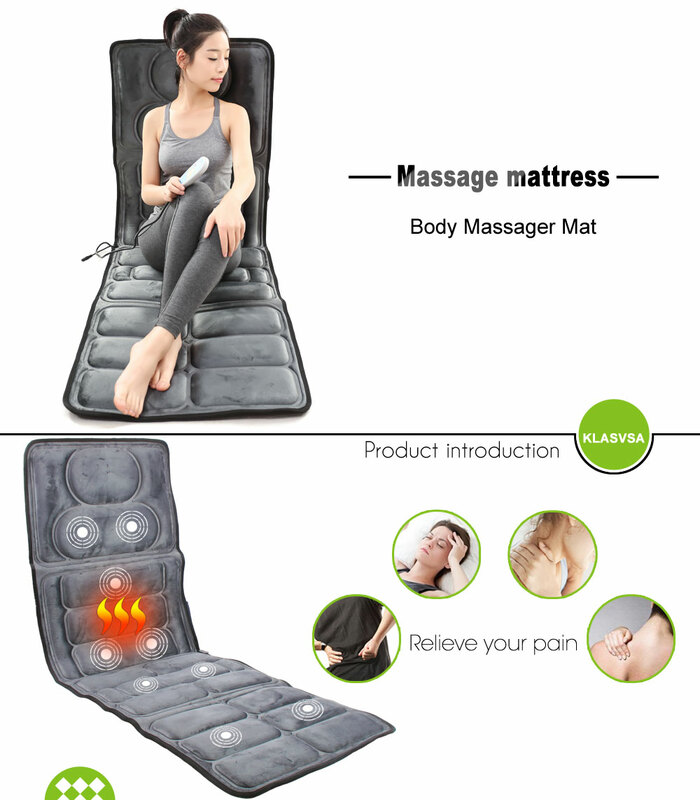 4.8 massage mode, you can choose vibrating and heating or just heating. 6.Can accelerate blood circulation, increase cellular oxygen supply, improving anemia, poor circulation has a good supporting role. 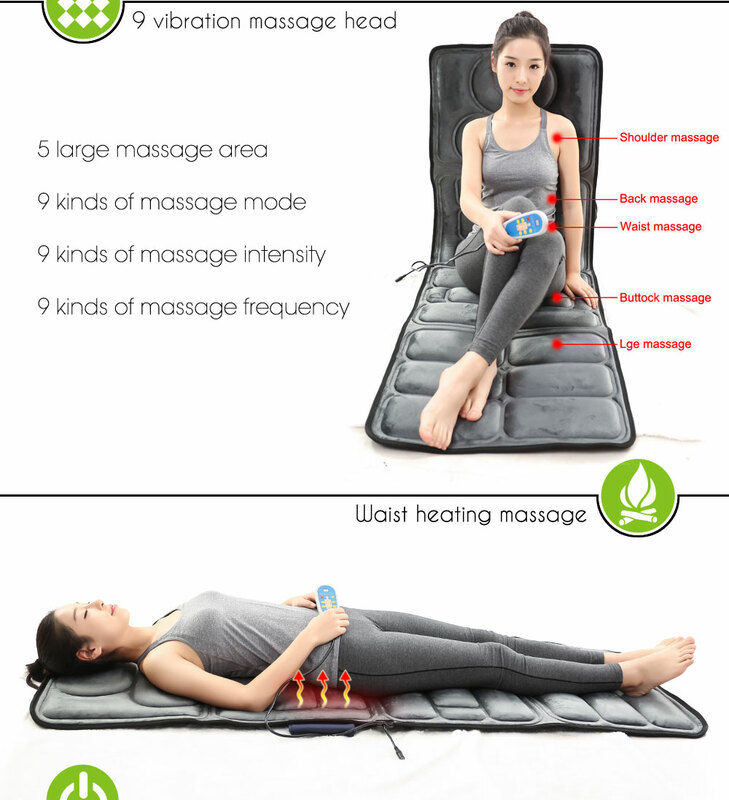 7.Intelligent design, built-in high-frequency massage ball. Tile to where you want to massage, then press the ON button. 1. Suggest use 15 once a time,3 to 4 times a day, do not more than 30 minutes once a time. 2. Please allow 2-3cm error, please make sure the size fits you before you used. 3. 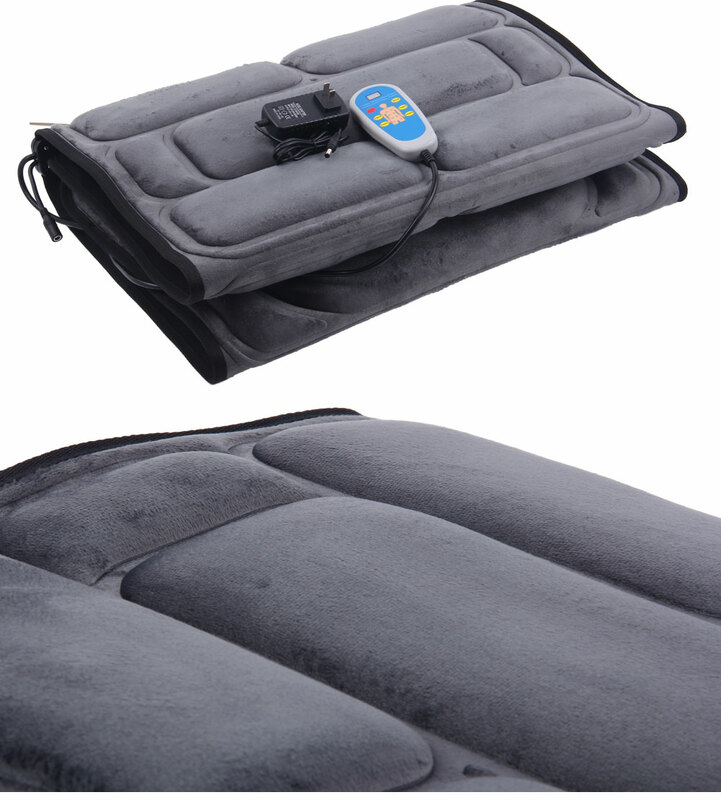 If overheating or overload, the Massage Mattress will automatically turn off, please unplug the power cable. After cooling completely, you can use it again.